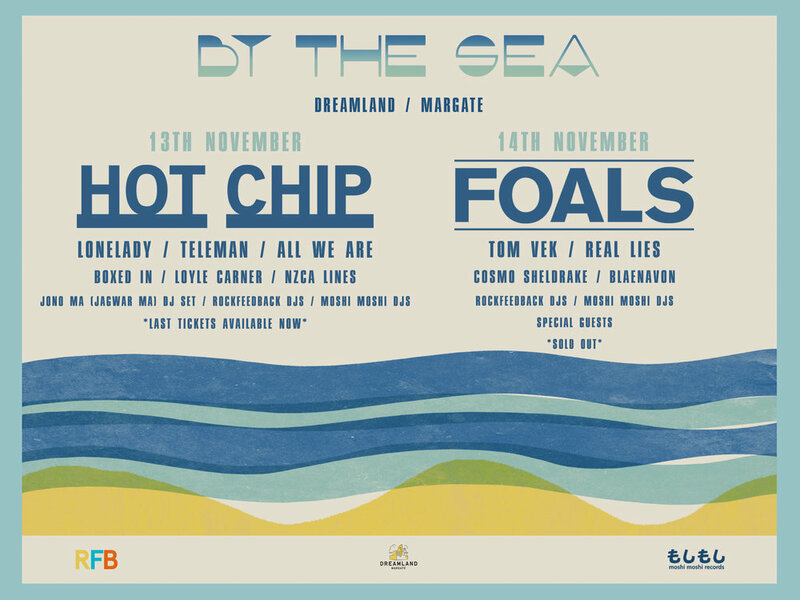 By The Sea Festival has revealed the full line up of acts taking to the stage at Dreamland Pleasure Park next month. Joining headliners Hot Chip on Friday 13th November will be Lonelady, Teleman, Loyle Carner, Boxed In, All We Are and NZCA Lines. Plus a special DJ Set from Jagwar Ma’s, Jono Ma. Foals Saturday night headline show on the 14th November is now sold out. Additions to the Saturday line up include Tom Vek, Real Lies, Blaenavon and Cosmo Sheldrake. For extra fun, ticket holders will also have access to free rides at Dreamland Pleasure Park each day between 4pm-7pm. During this time, the amusement park will be closed to the general public and festival goers will have free reign. What a way to warm up. Buses to and from Dreamland will also be in place throughout the festival. Tickets for the Saturday are now completely sold out but you can get tickets for Friday here. There's only a handful left, so be quick.